CarePort Health provides post-acute care management solutions for hospitals, payers, ACOs and post-acute providers to better manage patient care across the continuum. CarePort Health bridges the data gap between acute and post-acute care to help improve patient outcomes. Since CEO and co-founder Dr. Lissy Hu immigrated from China to the U.S. at seven years old, Hu has been immersed in the healthcare landscape. Her mother worked as a home health aide helping vulnerable populations so, at an early age, Hu learned the compassion and hard work that went into helping patients. It was through her family’s influence that Hu decided to dedicate her career to helping underserved and vulnerable patient populations. After completing her pre-med at Columbia University, Hu did a healthcare fellowship where she worked with 3,000 high-cost Medicare patients in the Bronx. It was here that she was exposed to the gaps between acute and post-acute care – ultimately, there was no way to know how her patients were doing once they left the hospital setting. This black hole her patients were going into once discharged left Hu perplexed, but also motivated to do something about it. After her fellowship, Hu pursued a joint MD/MBA from Harvard. During that time, she developed the idea that is now CarePort, launching the company after winning a business plan competition in 2012. In 2016, CarePort Health was acquired by Allscripts, one of the largest EHR solutions providers. The company’s Boston-based team recently moved into a new, larger office space to accommodate its expanding team. CarePort Health partners with hospitals, payers, accountable care organizations (ACOs) and post-acute providers to give access to its suite of solutions including CarePort Guide, CarePort Connect and CarePort Insight. The shift to value-based care has motivated healthcare organizations and their providers to have a heightened lens on patient health beyond the hospital, and CarePort is one solution that provides that level of visibility. CarePort’s customers are primarily hospitals, payers, ACOs and post-acute providers like skilled nursing facilities. One-in-five patients are admitted to post-acute care after being discharged from the hospital – nearly 8 million patients annually. With an aging population, this number is set to increase. Today, most patients that need post-acute care are handed a piece of paper by the nurse or physician that includes a list of names and addresses – no other context. Not only is this a confusing time for the patient, but also their families. Having to decide where they receive care next based off a list of names does not provide proper guidance into the type of care they will receive. By leveraging CarePort Health’s suite of solutions, providers and their patients can look deeper into the facilities being suggested and make a more informed clinical decision. CarePort Guide: Simplifies post-acute provider selection to make it as informed and intuitive as booking a hotel. CarePort Connect: Empowers providers across the continuum – hospitals, payers, ACOs, and post-acute providers – to coordinate care through real-time information sharing. Intuitive and web-based, CarePort Connect breaks down silos of patient information to connect previously disparate providers with shared patients through real-time, actionable data sharing. CarePort Insight: Provides organizations with real-time analytical reports that are easily generated with multiple drill-down options and filters for provider, patient type and/or condition. 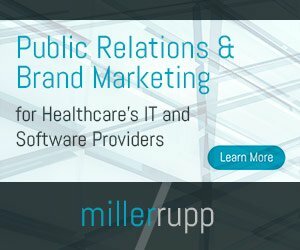 CarePort Health has designed tools unique to the market and, therefore, does not have direct competitors. There are a few companies in the market that have similar tools. However, CarePort Health is the only company that utilizes rich data sets to provide a much more comprehensive look into post-acute care settings for each patient. How does your company differentiate itself from the competition and what differentiates CarePort Health? CarePort Health is the only company that has developed three unified tools to help providers and their patients make more informed decisions for post-acute care management. Patients are no longer making decisions based off a flat list of names and addresses. CarePort’s technology allows them to look at the full spectrum of the care being offered by each facility and how it can meet their healthcare needs. What’s more, CarePort Health’s solutions allow healthcare organizations and their providers to meet the shifting requirements of value-based care by allowing them to follow patient progress throughout the care continuum. As an example, CarePort’s Insight platform provides health organizations with easily generated custom reports that allow hospitals to remove subjectivity, identify gaps in care and opportunities for improvement, and compare post-acute outcomes by provider and patient characteristics. CarePort Insight relieves post-acute providers from the burden of producing manual reports by providing custom reports that are easy to share with partner hospitals. The tool also provides benchmark information about outcomes within the local referral market. CarePort Health has a B2B business model. Hospitals, payers, post-acute providers and ACOs that are interested in tracking patients and entire populations across the care continuum use CarePort to improve post-acute outcomes. Within those organizations, CarePort aligns with their population health, care coordination and post-acute outcomes initiatives. CarePort Health is a fast-paced, growing company always looking for talented individuals committed to solving complex problems. The company currently has a few open positions to join its team. Additionally, it is continuously seeking health organizations in need of a better post-acute care management solution. For more information, visit us online at www.careporthealth.com.